Burbridge signed a futures contract with Denver on Thursday, Aric DiLalla of the Broncos' official site reports. Analysis: Burbridge spent time on the 49ers' practice squad in 2018 but didn't appear in any regular-season games. His lone regular-season action came as a rookie in 2016, when he caught seven passes for 88 yards while appearing in all 16 games for San Francisco. He'll look to secure a role as a depth receiver and special teams player for the Broncos in 2019. 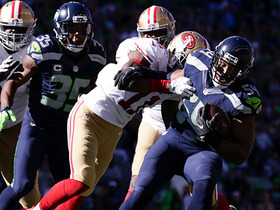 Burbridge was released from the 49ers' practice squad Thursday. Analysis: Burbidge signed with San Francisco's practice squad last week, but he was ultimately unable to stick with the unit. The former sixth-round pick is now free to search for a depth role elsewhere in the league, but it seems unlikely that Burbridge will find a meaningful offensive role this season. Burbridge was signed to San Francisco's practice squad Tuesday. Analysis: Burbridge has a ways to go before cracking the Niners' starting receiving corps. The Michigan State product has familiarity with the organization, having been drafted by the 49ers back in 2016. If Burbridge is to squeak onto the active roster at some point this season, there's a slim chance he'd be used in the offensive game plan. 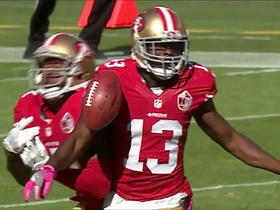 Burbridge (hamstring) and the 49ers agreed to an injury settlement Wednesday, David Lombardi of The Athletic reports. Analysis: Burbridge was unable to make it through San Francisco's final roster cuts after a quiet preseason, and was subsequently placed on injured reserve. He will now be able to search for a new team once his health is up to par. Burbridge (hamstring) cleared waivers and reverted to injured reserve, according to the league's official transaction log. 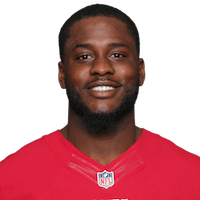 Analysis: Burbridge is now stuck on IR through the end of the league year unless he reaches an injury settlement with San Francisco. Burbridge (hamstring) was waived/injured by the 49ers on Saturday, Matt Maiocco of NBC Sports Bay Area reports. Analysis: Burbridge, who had an uphill climb to make the 49ers final roster, missed out on his last opportunity to impress the team's coaches when he was ruled out for the preseason finale against the Chargers. He'll now likely revert back to San Francisco's injured reserve once he clears waivers. Head coach Kyle Shanahan said Burbridge is nursing a hamstring injury and won't be available for the 49ers' preseason finale Thursday against the Chargers, Nick Wagoner of ESPN reports. Analysis: Shanahan said it's possible Burbridge could be available for Week 1, suggesting the receiver isn't dealing with a particularly severe hamstring injury. His impending absence Thursday should open up snaps for other depth receivers, such as Richie James and Aldrick Robinson, in what could be their final chance to impress before San Francisco has to trim its roster to 53 players. Burbridge has emerged as one of the 49ers' top players on special teams, Brad Almquist of KNBR reports. 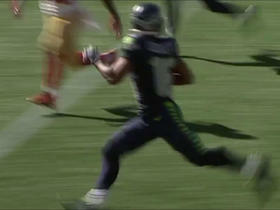 San Francisco 49ers quarterback Colin Kaepernick escapes and throws a 15-yard pass to wide receiver Aaron Burbridge. The San Francisco 49ers defense makes a huge punt return tackle on Jakeem Grant inside the 10-yard line. San Francisco 49ers wide receiver Jeremy Kerley calls for a fair catch, but is run into by Aaron Burbridge and the Tampa Bay Buccaneers recover. 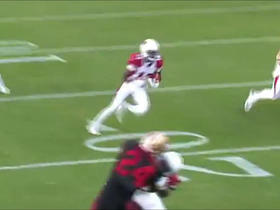 Arizona Cardinals wide receiver J.J. Nelson returns the opening kickoff 39 yards. Seattle Seahawks wide receiver Tyler Lockett returns a punt for a gain of 62 yards.